PUTRAJAYA: Indian Prime Minister Narendra Modi called on Prime Minister Tun Dr Mahathir Mohamad here today. He arrived at Perdana Putra at 11.35 am and was greeted upon arrival by Dr Mahathir. Modi had made a brief stopover in Malaysia to personally extend his best wishes and congratulations to Dr Mahathir on Pakatan Harapan’s victory in the 14th General Election and Dr Mahathir’s appointment as the prime minister. This is the first meeting between the two leaders. Modi last visited Malaysia on Nov 23, 2015. Modi is also scheduled to meet with Deputy Prime Minister Datuk Seri Dr Wan Azizah Wan Ismail and her husband Datuk Seri Anwar Ibrahim, the de facto leader of Pakatan Harapan. 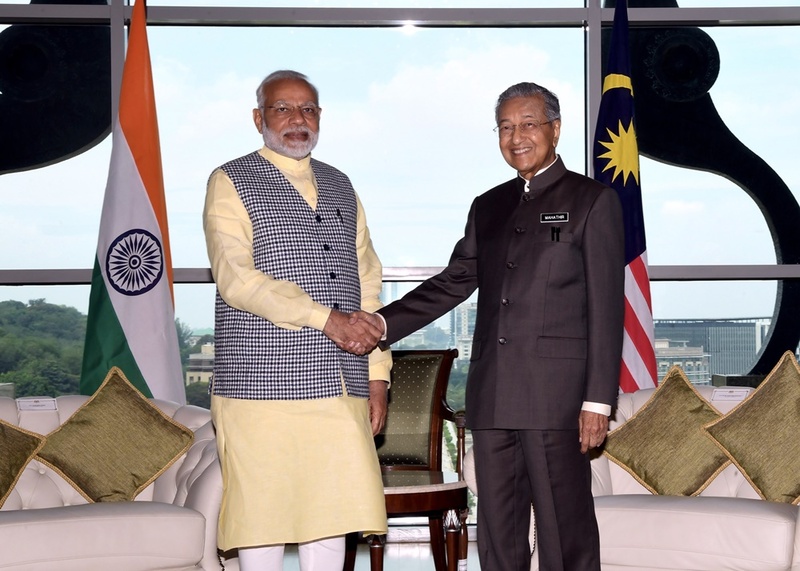 Wisma Putra said in a statement on Tuesday that the meeting between the leaders of the two countries underlined the fundamental strength of the millennia-old relations between Malaysia and India. It said the visit also demonstrated the strong commitment of the two countries to further strengthen the strategic partnership. Malaysia and India enjoy close relations through cultural and historical linkages as well as in various key areas, particularly infrastructure development, education, tourism and defence. India is Malaysia’s largest trading partner in South Asia, with total trade amounting to RM61.43 billion in 2017. Modi is also scheduled to visit Indonesia and Singapore. The visits to Indonesia (from May 29 to 31) and Singapore (May 31 to June 2) are at the invitations of Indonesia’s President Joko Widodo and Singapore’s Prime Minister Lee Hsien Loong, respectively. Earlier, in Sepang, the special aircraft, Flight AI OO1, ferrying Modi and his delegation, flew in from Indonesia to the KL International Airport at about 11 am.